A Health Centre is available for the students and staff with a doctor and a nurse for first-aid and emergency medical care. 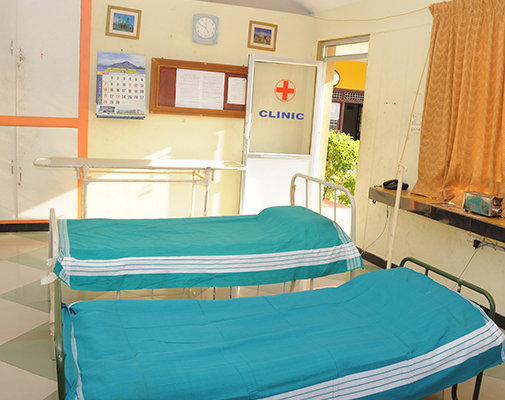 Periodic health check-ups are conducted to ensure that the students are physically fit. Regular screening tests are done to avoid the spread of infectious diseases.